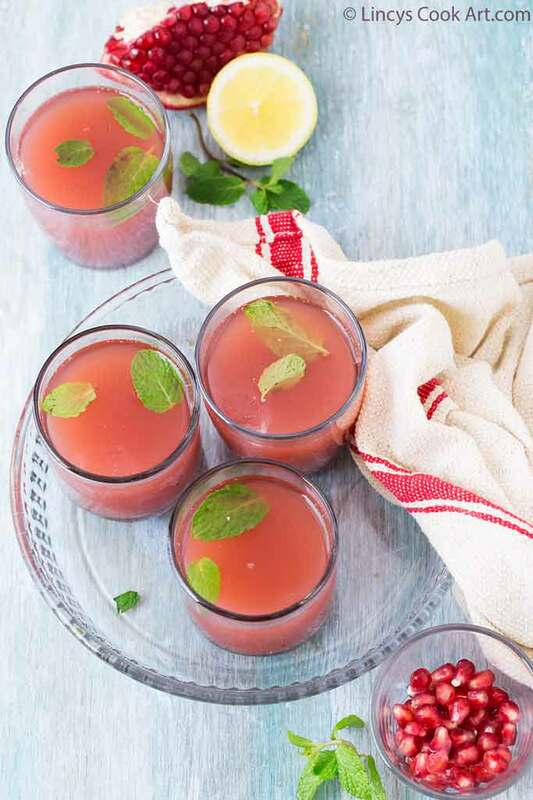 Pomegranate Strawberry Mocktail| Strawberry Pomegranate Mojito is an easy to prepare drink which is best for summer. I made this for the Valentines day theme. 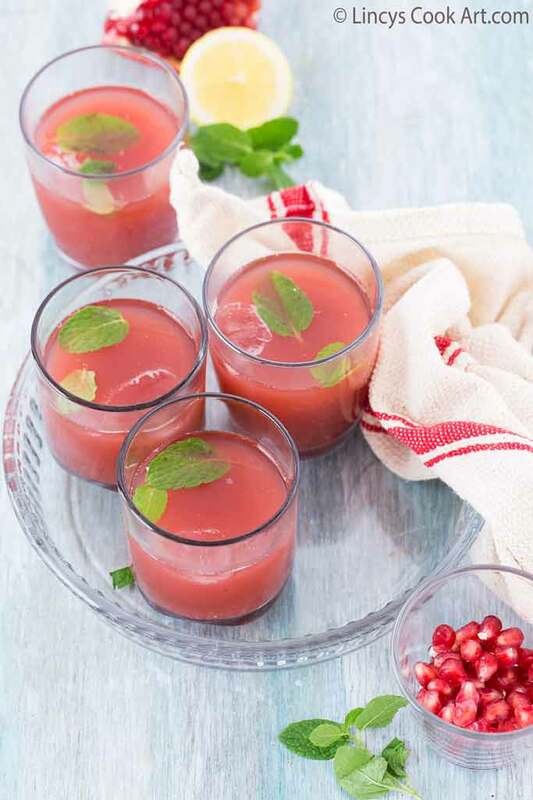 It was absolutely delicious the added mint and pomegranate pearls in that drink adds crunch and texture to the drink. I am sure you are going to love this drink. The citrus adds a kick to the drink. Easy tasty colourful drink! Do try this drink and let me know the outcome. In a jug or bowl add the ice cubes and add the strawberry syrup and then add the lemon juice from half the lemon. Crush and bruise the remaining half lemon with some mint leaves slightly to release the flavours. 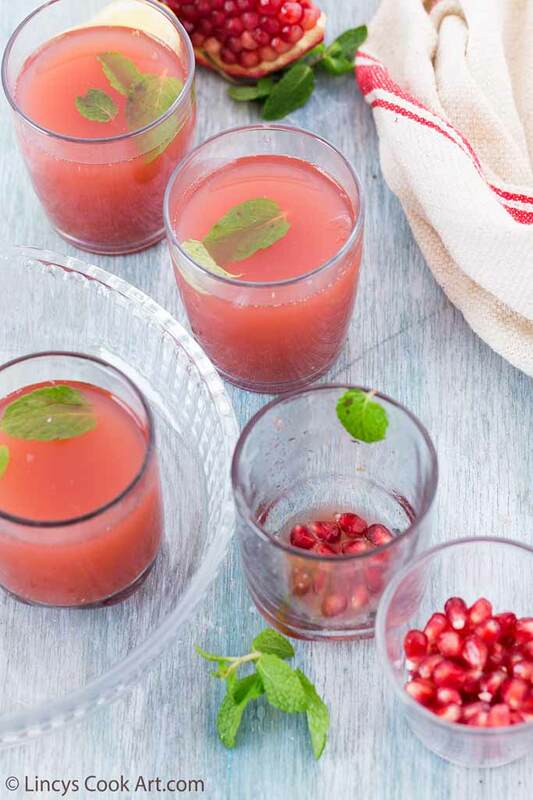 Add this on to the bowl|jug and add the pomegranate juice and soda|chilled water to dilute the juice as per your taste. 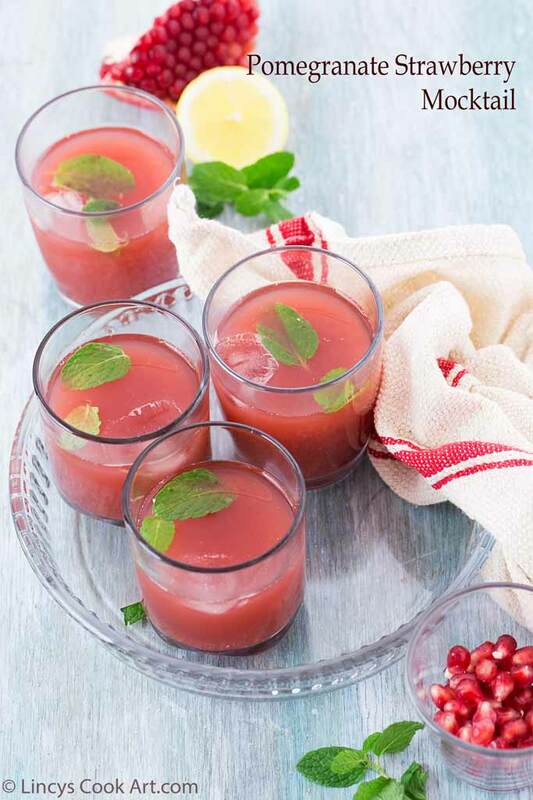 On each serving glass add some fresh pomegranate pearls and add the mocktail with some ice cubes and serve chilled. Note: You could use fresh strawberries instead of strawberry syrup in this recipe. Grind the strawberries with some sugar and use instead of strawberry syrup. 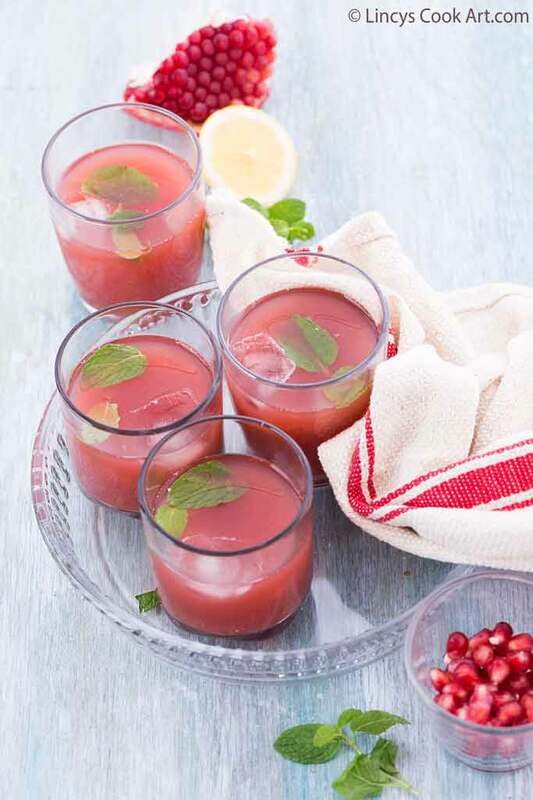 If you use home made pomegranate juice add some sugar while making the juice.